Ah, Spring, finally upon us! A marvelous season when we finally break through the brunt of a long dark winter. A time for hiking and fishing and… oh yes… gardening. 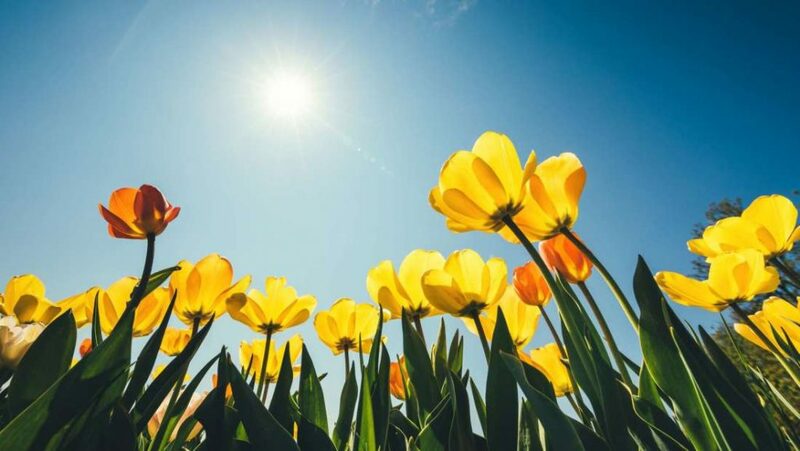 The Spring Vernal Equinox, which came on March 20th, is one of two days annual when there is exactly 12 hours of daylight and 12 hours of nighttime. But, before you get your clocks out, this is actually only true on the equator. For the rest of the world, the timing is a little sooner, or later, depending upon where we live. Of course, the Spring Equinox is just a calendar date, as we all know that some remnants of winter are prone to linger. Regardless, here’s to hoping that we can finally spring forward into some sunny, warm weather. To hoping that all our community garden partners around the country can have optimal conditions for a robust and hearty growing season! At Small Axe Peppers, we’ll be celebrating Spring with some Spicy Spring Rolls. These zesty treats can serve as the perfect appetizers at your first sun-soaked shindig. In a very hot wok, briefly saute the ginger, garlic, green onion and chili paste in the oil. Add the bean sprouts, carrots, savoy cabbage, red pepper and mushrooms and cook at high heat until the vegetables begin to soften. Add the mirin, hoisin sauce and soy sauce. Remove from heat and let cool in a bowl at room temperature. 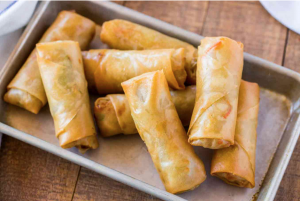 Place the spring roll wrappers under a damp cloth to keep them moist. Place wrappers one at a time on a hard surface with one corner pointing towards you. Spoon cooled ingredients into the center. Add a tablespoon of grated cucumber and a sprinkle of cilantro. Fold the side corners into the center. Fold the bottom into the center, making sure the three corners are touching each other. To finish, roll the wrapper away from you and up over the final corner. Store rolls under a damp cloth until ready to fry. Heat enough oil to cover the rolls, and fry seam side down until golden brown. Drain on paper towels and serve with your favorite dipping sauce.